Three years ago the Wearside Depot became home to a colony of bees from a local beekeeper in order to promote biodiversity and food production as part of the Capital Growth campaign. After a great start the prolonged wet winter of last year took its toll on our hives; whilst the now 2 bee hives coped admirably it was disappointing that a wet Spring tipped them over and despite feeding sugar syrup and fondant to top up their food source they just couldn’t cope with the persistent cold and wet. It was very sad to lose them and a sorry sight to open a hive to silence and lots of little furry bodies scattering the hive floor. Undeterred and with great help and advice from Mark Emptage and Clive Watson from Bromley Beekeepers a nuc of 6 frames was provided in the following Spring and we settled our fresh new bees into their riverside residence. The early warmth got them off to a flying start and it was wonderful to see the busy comings and goings as our bees foraged for local pollen and nectar. Weekly inspections ensued to check that the Queen was laying and no diseases were present; the hive was doing so well we were able to split the it to establish a second colony. Both hives thrived with plenty of plump larvae and a surprising range of pollen colours, depending on the plant source, from emerald greens to ruby reds through to deep yellow and vivid orange. As the weeks rolled by bee numbers steadily continued to increase and thankfully inspections showed no sign of disease or ill health in the colonies. 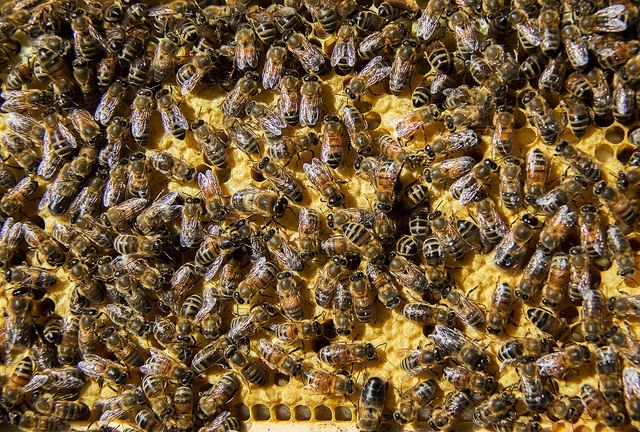 To spot the Queen busying about with her entourage of workers is a wonderful sight and to smell the waxy sweet comb on opening the hive is a feast for the nostrils. The frames on which the bees store and cap their honey and pollen were getting heavier and heavier and last week we had the pleasure of extracting some of the honey (leaving enough for their winter stores) using a loaned extractor that uses centrifugal force to draw the honey out. 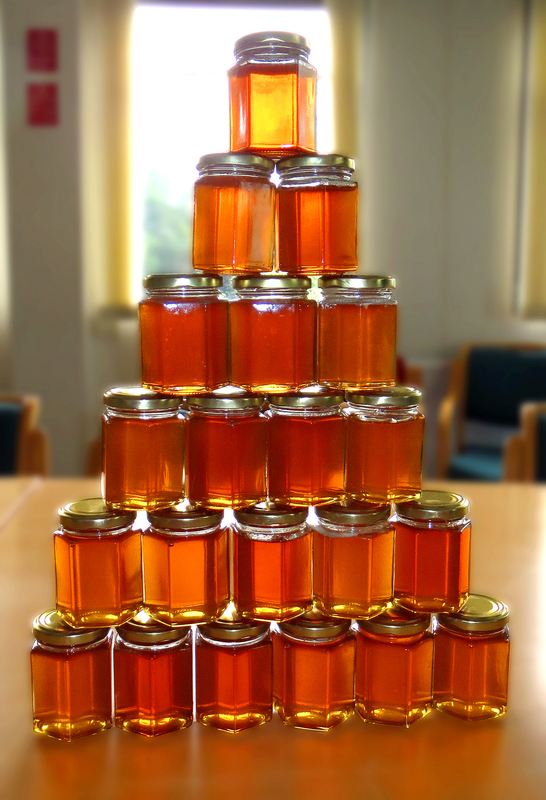 After 4 hours of spinning the frames we were left with 14 kilos of lovely light golden honey to be jarred up and christened as ‘Wearside Waggle’. It just remains for us to keep checking on our buzzy friends to make sure they have enough stores to keep them going through the winter and treat for the Varroa mite if necessary. As the weather turns cooler, hive inspections will cease as opening up when temperatures are below 15 can be detrimental to the hive. 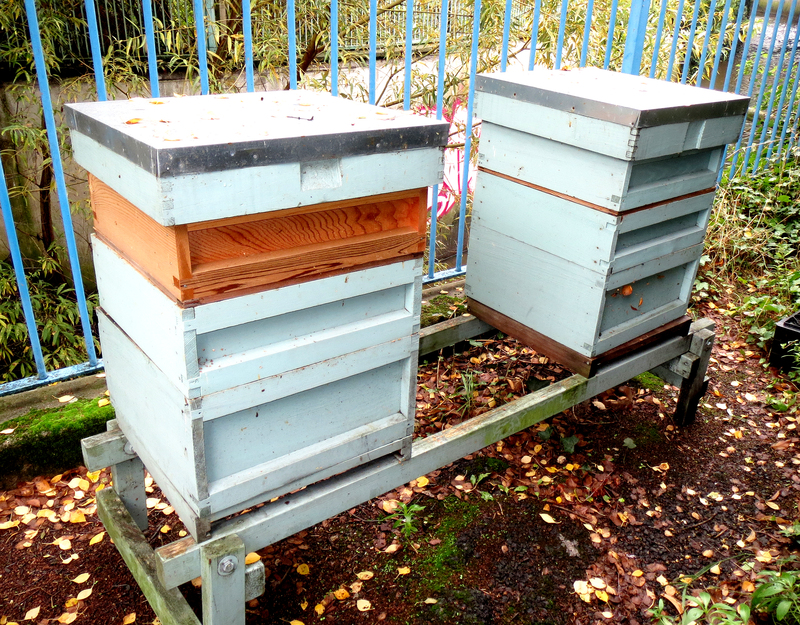 So, a successful year had in which a small corner of our depot has helped pollination and added a little to food production…….. Categories: Uncategorized | Tags: bee, Bee hives, bee hives in Lewisham, bees, Depot honey, honey, Honey bees, honey production, jars of honey, Lewisham bee hives, Lewisham Honey, local honey, South East London honey, The land of milk and honey, The Land of Refuse and Honey, Wearside depot honey, Wearside Waggle | Permalink. My recycling bin went missing after a collection back in September, I reported this on 16th September and have made a number of subsequent calls, today is 29th October, please could you indicate when I can expect a replacement. Many thanks. We are currently waiting for a new stock of recycling bins to come in and once we receive them, they will be distributed to those people waiting for them. Sorry any inconvenience that this may cause.